Were the Edwardians Cleverer Than Us? FYI: acrostics – A poem, word puzzle, or other composition in which certain letters in each line form a word or words. Double acrostic – A poem whose stanzas, except the first two, are clues for words. The initial letters of these words, in order, form a word clued by the first stanza; the final letters, the second stanza. Is that I speak quite frankly, come what may. Mineral and flower without it go. Erstwhile graced by Spanish Queen. His dog alone was faithful to the end. In England journey to reality. Mostly with the man behind. A singular ceremony is repeated at intervals during the London Season, which may be regarded as one of the most successful efforts of the kind yet invented. On a given morning (usually in the week before the great Epsom race), shortly after noon, some twenty splendid equipages belonging to members of the Four-in-Hand or Coaching clubs muster in Hyde Park. These are the representative English driving clubs, founded on the lines of an old and exclusive club which used to start from Chesterfield House, Mayfair, and drive down to Bedfont. The leaders of this club were Lord Chesterfield, Sir Henry Peyton, and the Duke of Beaufort. Its members might drive down visitors, but could not dine them at the club table. 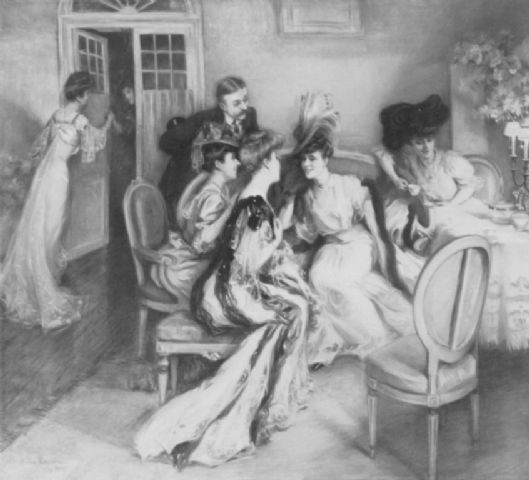 Consequently guests (as eating and drinking play an important part in all social gatherings in England) would not come, and the pastime subsided into dreariness. To remedy this, the Richmond Driving Club was soon started. The Richmond Club members invited guests to their dinner-table, and thus escaped the charge of unsociability brought against the old club driving to Bedfont. But the Richmond Club died out, and then coaching seemed to be on its last legs. Only one coach went out of London from Hatchett’s; and very few drove four-in-hand even down to the races. Then a revival sprang up in the founding of the present Four-in-Hand Club, which was originally limited to fifty members, who on grand occasions used to turn out some twenty-four teams. One reason for this limitation was, that it was difficult to find places within convenient distance of London to give dinner or luncheon to more than a hundred persons. There was no idea of exclusiveness ; but as the coaches had to be driven somewhere, and to carry guests, the latter had to be entertained. The founding of the Coaching Club was the result of this limitation of members by the older and more famous club. The coaches of these clubs are built on the model of the old mail-coaches of fifty years ago, and therefore answer the purpose of being useless except for show. Each of them costs perhaps £500, and to each are harnessed four magnificent horses worth at least another £1,000. Upon these wait two grooms in faultless breeches, top-boots and coats, neither of whom stands there under £8o to £100 a year. 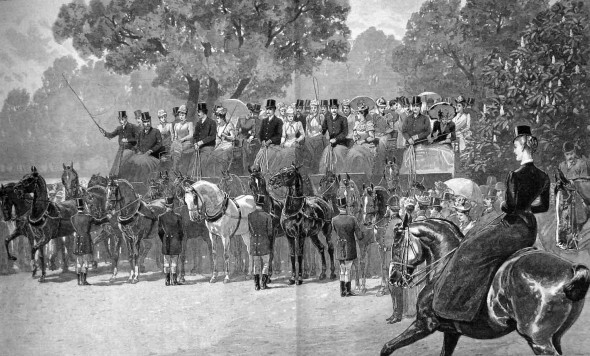 When all are mustered the coaches start (with a number of “swells” seated outside) with becoming solemnity, and oftentimes no little difficulty, and make the tour of Hyde Park, some perhaps going as far as Hurlingham or the Crystal Palace to lunch. One would have thought that this absurd and useless “ceremony” could have little interest save for the distinguished members of the clubs and their friends. Yet year after year it attracts thousands of spectators, who are massed in the vicinity of the Powder Magazine, Hyde Park, and at other points upon the line of route. A picture of these parts of the Park on a morning of one of the meets would somewhat astonish an earnest-minded foreigner bent on studying the manners of the English. A far more sensible affair is the Cart Horse Parade in Battersea Park on Whit Monday. For most living in the long nineteenth century, death was a constant companion. It crept about nurseries and palaces, laid its finger on the poorest in the land to the richest, and disrupted even the most mundane of social events. Because of this, death was displayed matter-of-factly in newspapers, magazines, and early news reels, almost without any of the terror or denial of this natural occurrence as seen in denizens of the twenty-first century. In fact, what would be considered morbid today, was merely avid curiosity to many Victorians, who relished the most frightening tales of slaughter and sensationalized trauma, and indulged in gruesome spectacle. No more is this apparent than with the popularity of the Paris Morgue. The Paris Morgue was built in 1864 on the Île de la Cité, one of the two islands in the Seine, just behind the Notre Dame de Paris, where the bodies of unidentified dead–most of them suicide cases–were displayed on marble slabs for friends or family to identify. This edifice soon became a fixture in the Parisian social round, with hundreds of people shuffling into the morgue to gawk at the dead and gossip over their possible origins and reasons for death. Each day, from early morning gleam to the evening hour of six, the curious of this earth may be seen going into and coming away from the ugly pile. Persons out of work are impelled by curiosity to go and see the “macchabées,” as the exposed corpses are termed in local slang; but others go to seek on the cold, bare slabs for the body of some dear one who departed this life by suicide or was the victim of an atrocious crime. Over the main door, on the front, one reads the words: “Liberté! Egalité! Fraternité!” Yes, it is indeed that, in this anti-chamber of the eternal naught, which most profoundly verifies the modern formula of our poor humanity. Free, equals, brothers are our corpses when the light of existence has gone out from them. Between the street door and the thick glass partly dirtied by an undefinable sort of lye, in the large hall, are always some people morgueing at the horrible remains of those who are free from all pain and suffering, and among this throng are some who recognize a friend or relative. But we need not remain with these people, for, armed with a special permit, obtained at the prefecture of police, we penetrate at once into the edifice. Our first feeling is that of cold, the chill of death made more icy by an enormous refrigerator. It is a box three stories In height, and having five compartments on each story. In this large box icy cold air is produced by means of ammonia; and the pipes are so distributed that while the five lower cases are chilled to a temperature of 15 degrees below zero (centigrade) those of the other stories attain 3 and 7 degrees. As soon as a dead body reaches the morgue it is put naked on a movable iron plank, this is placed on a small chariot, and the corpse never leaves this bed until it starts for the cemetery. Once on this plank the body is washed, examined carefully, and all the details as to its appearance are minutely made note of. Then the small chariot is rolled up to and shut inside one of these fifteen compartments, and not more than five or six minutes have elapsed since the body was stripped until thus refrigerated. The official in charge opened one of these cases and showed us a corpse that was undergoing the freezing operation be re being placed under the eyes of the public. It was that of a woman, rather small in stature and about 23 years of age. There was not the slightest sign of contraction on the pale countenance, and the corpse had none of that bloated and flabby appearance which the dropping of water from taps above used to give them, nor was the flesh soft and shiny. It was like a wax statue, and seemed as if suddenly and unexpectedly struck by some all powerful hand into glacial rigidity. These remains of a once beautiful young woman had been in the refrigerator for seven hours. It takes from four to nine hours to thoroughly freeze a corpse; intestines inside the body of a man will be frozen in ten. The official struck the breast of this body with a cane, and it gave forth a sound like unto that produced by hitting a stone block with a stout stick. It Is, thanks to this system of conservatism, that the dead can be kept for weeks without their showing the least signs of decomposition. We go next into the “Salle des sacs,” or rooms where the clothes of the dead are put in sealed bags, not, however, until ample time has been given to the relatives of the deceased, should any appear, to claim the property if they so desire. If the family does not take possession of the clothes it is supposed they are not wanted, and at the end of two weeks they are thrown into a sac which is sealed up and then put in this room. When the room becomes crowded these bags are carted to a kiln outside of Paris, where they are burned to ashes. From the “Salle des sacs” we go Into the “chapellerie” or hat room, where upon a score of shelves are displayed a series of headdresses as varied as they are improbable, and which were once worn by all classes of males and females; thence we reach the hall for dissections and autopsies, a kind of amphitheatre with steps or benches rising above each other, with a marble table in the middle, and which is lighted by two wide windows opening on the river Seine behind the bridge of the St. Louis island. The usual instruments, the bottled organs taken from human bodies, the chemicals, etc., found in all arsenals of the dead are plentiful. In this hall a celebrated French surgeon gives weekly lectures during the months of autumn, winter and early spring which are free to everybody. But so small is the room and so numerous are the students who want to attend these lectures that It Is the rule to issue tickets on which the date when the holder may be present is designated, and thus all are in turn enabled to attend. 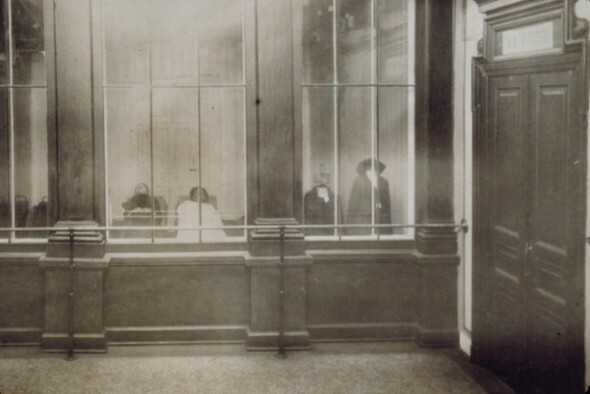 The more lurid the crime, the more people crowded in to see the bodies, such as the headless corpse of a woman unidentified for three years, and the trunk in which Toussaint-Augustin Gouffé had been stuffed by Michel Eyraud and his lover, Gabrielle Bompard. Some truly morbid people even besieged the principal keeper of the Morgue with requests to pose as corpses—that is until they learned they would have to lie for twelve hours in a room kept at seventy degrees below zero! In 1907, the Morgue was closed to the public out of concern for morality, but it remained a sinister fixture on the Seine until 1921, when it was moved to another part of Paris.